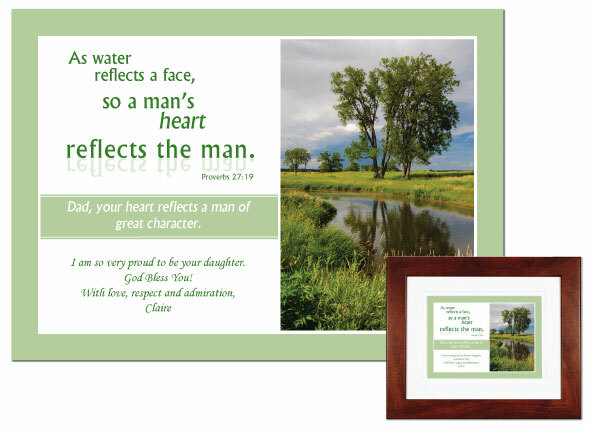 Father’s Day is June 15th….right around the corner! If you’d like to give your dad something unique (without breaking the bank), check out our collection of personalized keepsakes for Father’s Day. Each piece is created using premium museum-quality materials. Why does that matter? It means your gift will look just as good years from now as the day you present it to your father. No yellowing and no bleeding. The colors will retain their vibrance and the matboard will still be snow white. This is a gift you can be proud of!